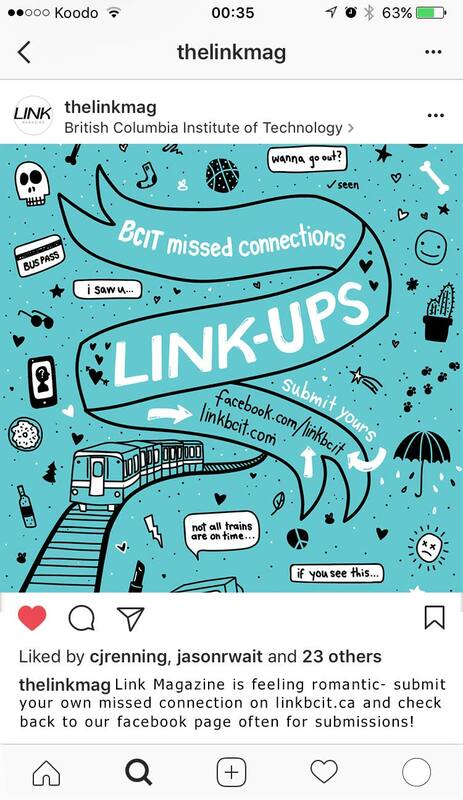 Link-Ups is a missed connections campaign to "Link Up" the BCIT community throughout 2017. I coordinated the campaign, and as well designed and illustrated the marketing materials. I was inspired by student culture, and reading tons of Craigslist missed connections. The posters were posted around campus, advertised within LINK magazine, the campaign was promoted through social media and as well by BCIT. Scroll down below to see some submissions! 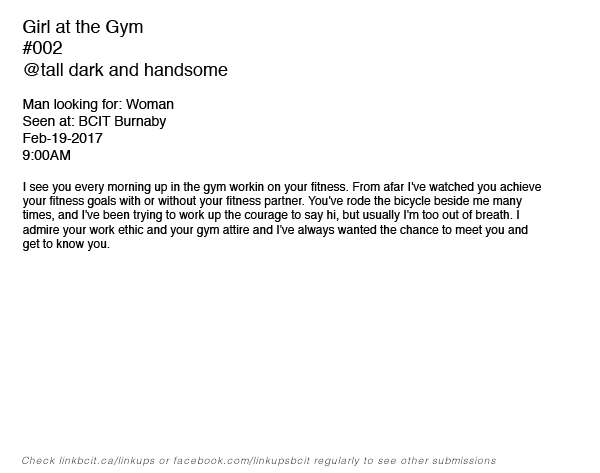 I love reading missed connections- the posts are raw, uninhibited, and unique intimate diary-like glimpses into what humans are actually thinking. Aspirations of love, exposing universal weirdness. After doing this project, I think we're all kind of weird. Link-Ups is still live! 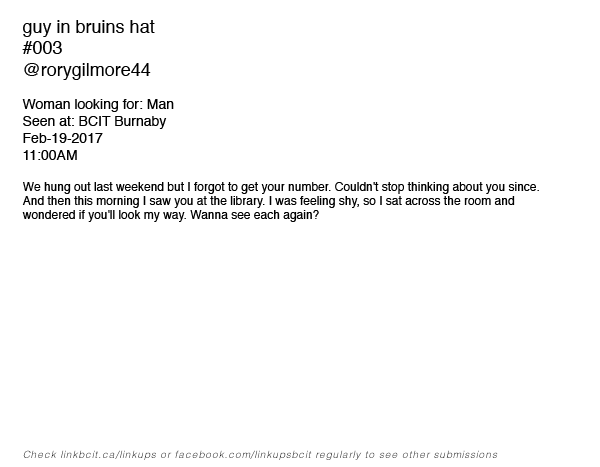 Submit a missed connection here, or browse current submissions on our Facebook page!